A sweet and mild smoke with hints of Vanilla. 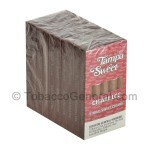 Tampa Sweets offer a familiar cigarillo taste at a fraction of the price of Swisher and White Owl. New extra long Extendos Cigarillos from the same company that brought you Splitarillos. 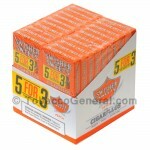 Pre-Priced Flavored Cigarillos. 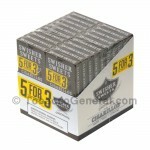 Same exact cigarillos, but generally at a much lower price than traditional packaging. 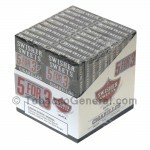 The original Swisher Sweet Cigarillos. 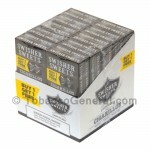 The same bold and aromatic flavors that made this brand a household name among smokers everywhere.